Jennifer Lopez has had a few false starts these past few years. Her album, ‘Brave’, was her lowest charting and failed to created any big singles. With her latest album ‘Love?’, her original first single, ‘Louboutins’ , failed to chart even with its high profile performances. She has since left her record label, and move to Def Jam to record the album and hopefully make the comeback that she has been eyeing for recently. Jlo seems to be wasting no time getting to her Def Jam label mates. The new ‘buzz’ single, ‘Run the World’ was produced by The-Dream and features Rick Ross. The track has strong influences from The-Dream, but does not sound like one of his recycled songs. The beat is smooth, with the infamous Dream yells in the background. I do not know why he is labeled as featured on the song when he does not actually sing anything on it. He pulled out all the stops writing this song though, because the chorus is catchy without relying on his signature repeats phrases. This is actually the best song I have heard The-Dream right since ‘Single Ladies’. It proves that The-Dream hasn’t lost his touch quite yet. Jlo needs a hit, and this could be a mild one for her. Jlo has always had a weak voice, and this song is no different. The song serves her justice, but I still think it would be better sung by someone else. Slower songs have never been her forte, so I am glad to hear her actually working well on one. Rick Ross is surprisingly not annoying on the song. They seem to have some good chemistry with each other. Most of Jlo’s hits have had a rapper featured on them (‘All I Had’, ‘I’m Real’), so it seems smart for her to stick to familiar territory. ‘Run the World’ should do pretty well on the urban radio and could possibly cross over on the Top 40 formats. Jlo recently announced that the next single from ‘Love?’ would be a track titled ‘Good Hit’. If she was smart she would release both so she can gain fan impressions in both formats. I am still skeptical about the star power that Jlo has and if she will be able to make a successful comeback. This is a step in the right direction though. I cannot express my gratitude enough that Kanye West is back to releasing more music. He has committed to releasing “G.O.O.D. Music” every Friday, so my expectations were high every since I heard the masterpiece that is “Power”. “Monster” is not only the first installment of “G.O.O.D. Music Friday” but it is also the first song from ‘Watch The Throne’, the 5-track collaborative album from ‘Nye and Jay-Z. Kanye is one of the most talented and creative artists in hop-hop history because he always moves beyond the commercial sound and into uncharted territory. The horn lead bead is great, backed with a strong drum line. 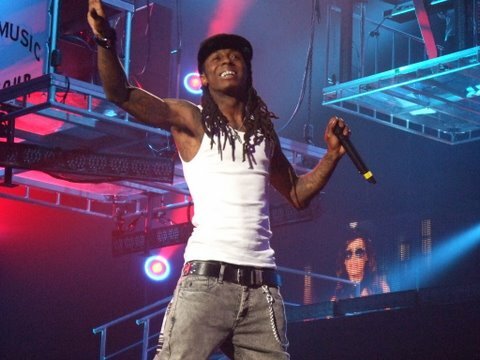 The epic beat only reflects the nature of the song, which is the biggest collaborative rap song since “Swagger Like Us” in 2008. I have no idea why Rick Ross was even on the track considering he only raps 5 bars, so that is all I will say about that. 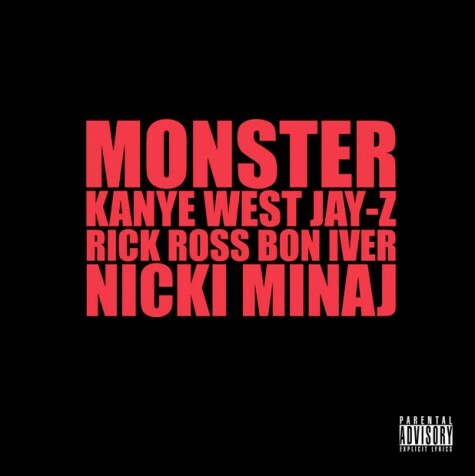 Kanye also has a sweet tooth for indie artist, so I liked that fact that he gave Bon Iver some spotlight at the end of the song. Adding an indie artist means that more people are drawn to the track outside of hip-hop. Lets be honest, ‘Nye and Jay-Z never disappoint with their verses. I cannot remember one time I left a song disappointed, and that’s because they are two of the best (I think Kanye IS the best) rappers around. Each rapper has their own distinct style, which not only separates them as far as rappers, but also makes the song an easier listen. My only complaint about the song is Kanye’s chorus, which is so distorted is hard to understand. Normally I would have gone crazy for these two verse and probably spent most of my review on them, but they can’t even compare to Nicki. Nicki Minaj absolutely slaughtered both of their verse. The song honestly get an A because of her performance alone. I still can’t believe that I will say this, but Nicki outshined both of them. If anyone has any doubts about Nicki’s rapping ability this is the song that will put them to rest. Her rhymes are both complex and intellegent (something Lil Wayne often lacks), and she is still able to add her personality without losing the essence of the song: Genius. Nicki literally goes through five different voices during her verse, which is the most arrogant of her verses to date. She has always been her own person, but she is now coming into her own confidence as well. I will stick to guns and always say that Nicki is one of the most daring hip-hop acts that have ever come around. Kanye stated a few weeks back that he thinks Nicki has the potentially to become one of the top rappers in the business. ‘Monster’ will solidify Nicki as a rapper, but she needs to focus this energy on her own music. If she can deliver a performance this strong on her own album, she will be unstoppable. I can already see a Grammy for everyone in this song. I will call it now- Best Rap Performance by a Duo or Group. Kanye is gearing up to have a huge year, and every song he has released thus far has made me more excited for his album to drop in Novemeber. Find the Video on Youtube, I couldn’t find one with out explicit language so your warned!